Keswick South Ontario is a real estate sub-market in Georgina, Ontario on the Toronto Real Estate Board. 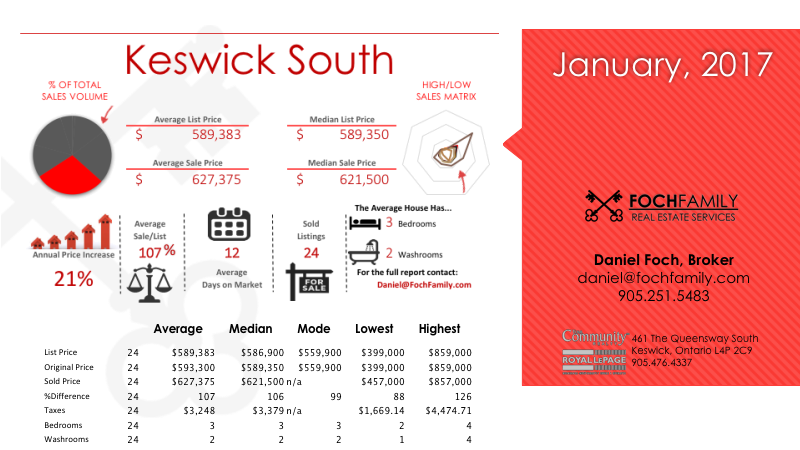 In Keswick South , real estate listings have an average list price of $589,383 , and an average sale price of $627,375 . The average list to sale price ratio of homes for sale in Keswick South was 107 percent. 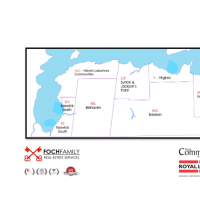 Real estate taxes, on average, were $3,248 in Keswick South The average time a Keswick South real estate listing spent on the market was 12 days. The highest sale price of a home in Keswick South was $399,000 and the lowest sale price of a home sold in Keswick South was $399,000 . The average size of a home in Keswick South includes 3 bedrooms and 2 washrooms.